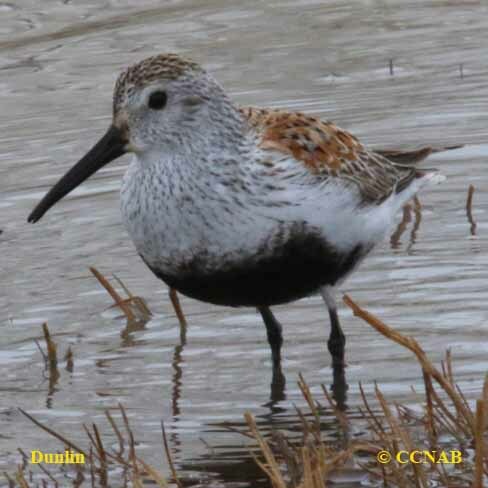 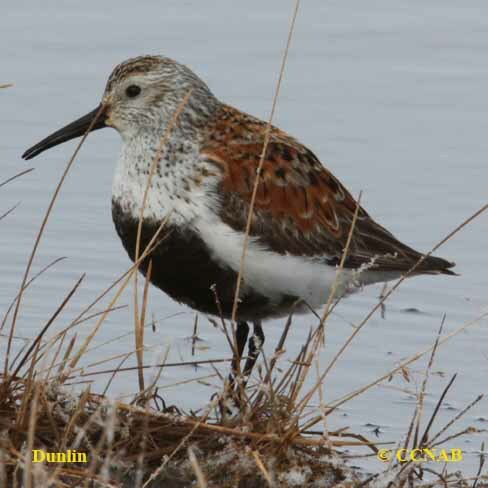 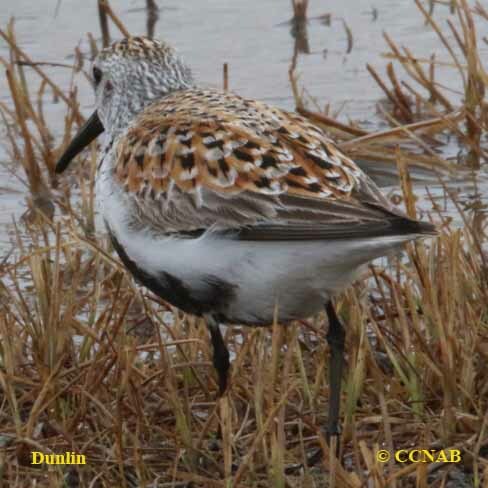 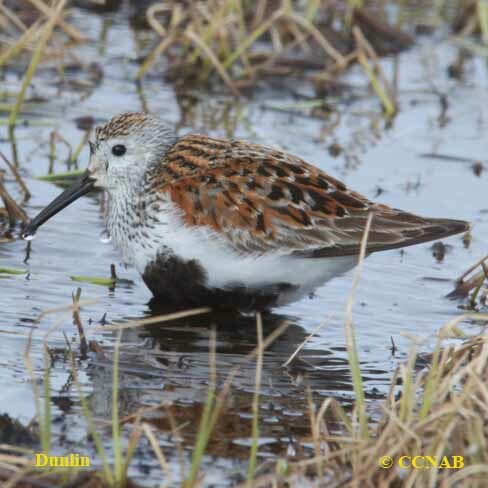 The Dunlin (Pacific) was once called the Red-backed Sandpiper and is a sub-species of the Dunlin (Atlantic). 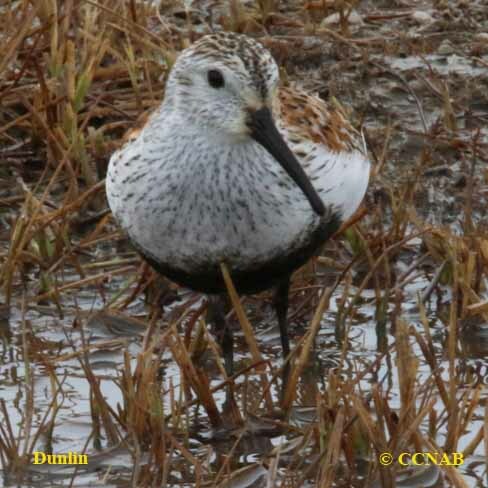 It has a lighter coloured plumage, whiter face and larger black spot on its lower breast and upper stomach. 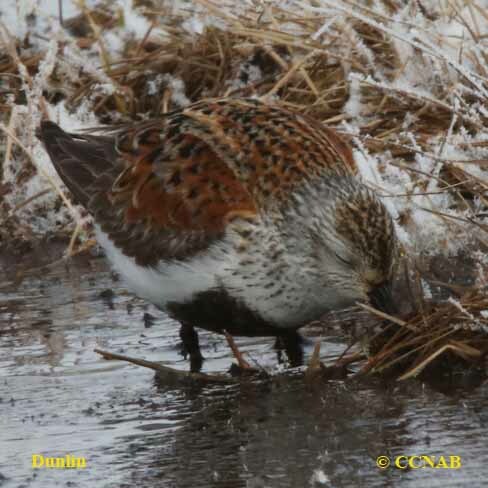 These birds are recognized by their fairly long downward curved bill.